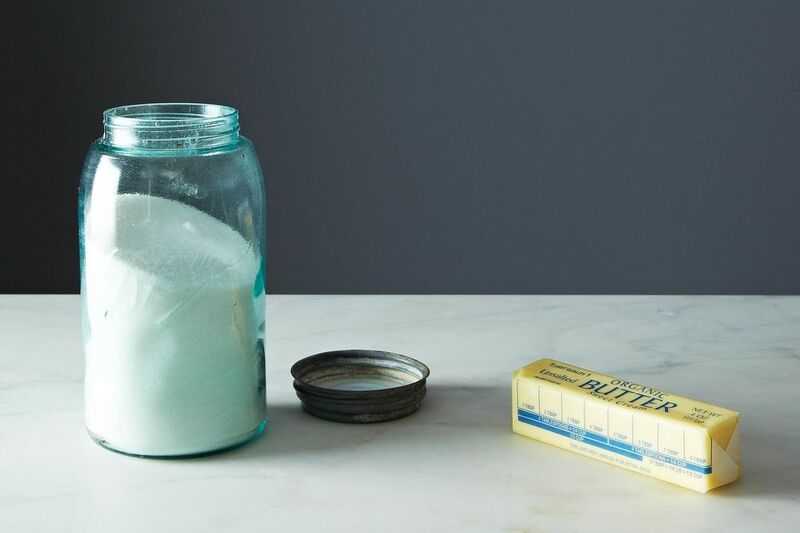 Today: How to cream butter and sugar the old fashioned way. Forget, for a moment, the 20-minute meals. Push the no-bake desserts out of your mind. Ask the 5-minute lunches to take a walk, just for a minute. Sometimes we want to be romantic about cooking, to do things with our own two hands. To do our non-appliance-wielding grandmothers proud. And when we do, we’re going to have to know how to live without the mixers and the beaters of the world. Today, after you read this post, you’ll be able to cream butter and sugar without anything but a bowl and a fork. Dessert’s likely going to take you a little bit longer. Your arms are going to be a little more tired. But you’re going to let appliances steal none of the glory, and you’ll be rewarded well: with cookies, quick breads, cakes—that you’ve made with your own two hands. Step one: Soften your butter. This, of course, is a hands-off process, but if you want the best results, it does require a spry mind, or at least a functioning Google calendar. Friends, you must remember to take your butter out of the fridge or the freezer. If it’s in the fridge, take it out about two hours before you plan on using it, depending on how warm your resident counter is. If it’s holing up in the freezer, move it to the fridge two days beforehand, and then follow the fridge protocol. Last-minute butter softeners, we direct you to our community’s wonderful solutions. And we urge you to remember next time. Step two: Combine the butter and sugar with a wooden spoon. To get the process started off on the right foot, make like you’d mix anything else together. This will set you up for success when you move on to step three. 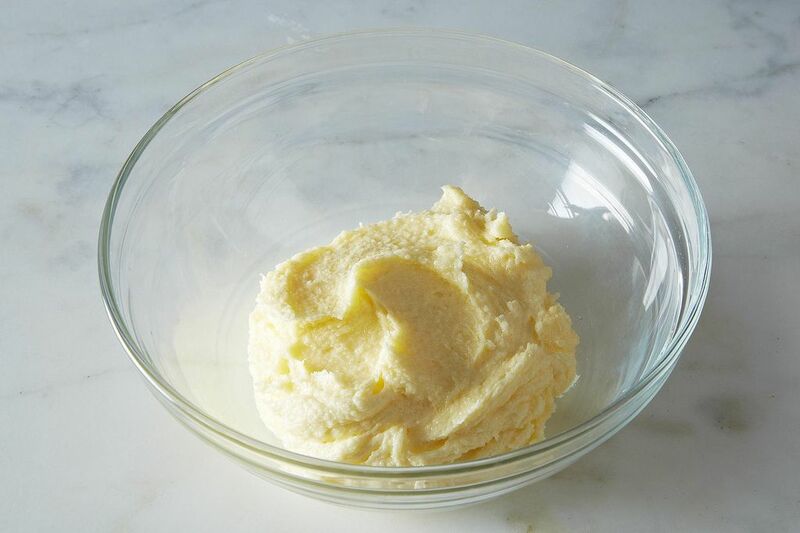 If your butter isn't perfectly soft, you can get in there with your two hands—working the sugar into the butter will help it soften and combine. Step three: Break out the fork. 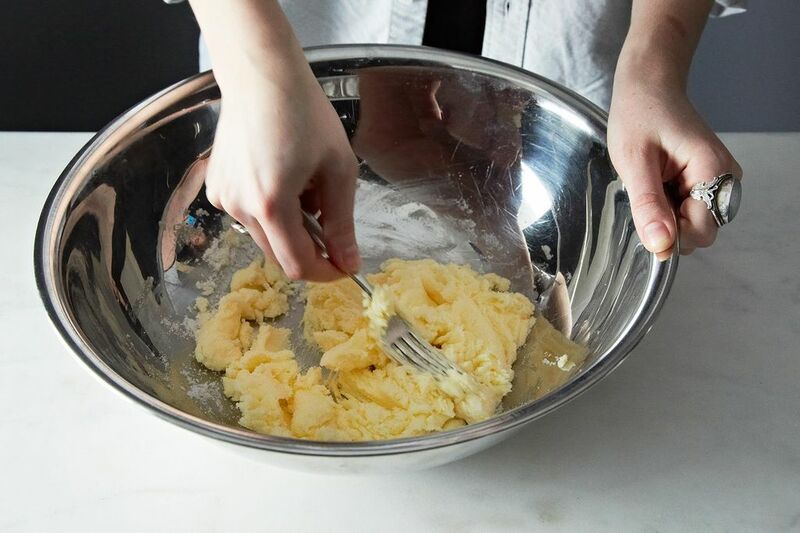 This is the tool you’ll use to faux-cream. Using the back of a fork (choose one that is leggy with long tines), start beating the butter and sugar together, in the same motion you’d use to whisk your scrambled eggs. 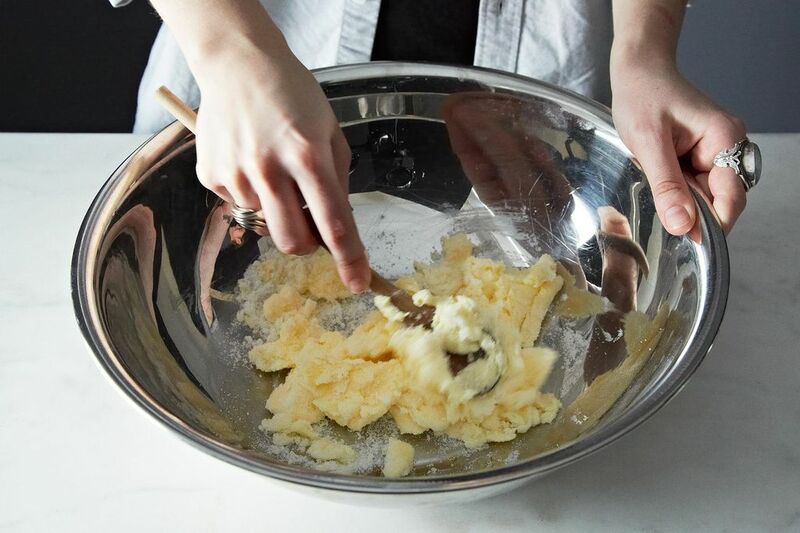 Keep at it—enlist a friend if you're not ambidextrous—until there are no longer any streaks of butter. You’re looking for uniform texture and a slightly lighter color. Depending on how much butter and sugar you have, this could take anywhere from 2 to 5 minutes. Keep in mind that, unless you’re somewhat of a body builder, you won’t get the same lift in your baked goods that you might with a stand mixer. But does it really matter? You’ve just creamed butter and sugar, appliance-free. I have an uncle that was a cook in the U.S. Army. He was helping to prepare and cook the food that was to be served at my rehearsal dinner 39 years ago. The meal was being prepared at another family members home who did not own a mixer. My uncle asked me to cream the butter & sugar for a cake he was planning to make. When he handed me the bowl with butter, sugar, and a fork inside to do the creaming I was in shock. He kept me at that creaming until he felt no grittiness as he swiped his fingertip along the bottom of that bowl. I do believe that was likely the best creaming of butter & sugar that I've ever done. I'll always remember it. Hi, i live in a tropical country. The temp around here is 30~33, 27 28 in the morning and night so the butter will soften very quickly when i am creaming it. Before it get buff up, some parts kinda turn into luqid. Can i cream it for couple of minutes and put it back in the fridge then start again until it's light and luffy? Does a food processor do the creaming properly? My grandmother did it all with her hands. The heat of her hands melted the sugar into the butter. I like to use a potato masher or ricer. Cream butter and sugar with a mixer??? Always the back of a wooden spoon. The spoon used only for baking. just how my grandmother taught me. I didn't feel old until I read this. I'm 30-something and this is how I learned how to cream butter since we didn't own a mixer. This is still how I do it. The only time my mixer comes out is if I'm baking a cake or mixing masa for tamales. I'm 33 and we always had a mixer. I honestly never thought about this. I must be a bit older or maybe just more old fashioned but I was really surprised to come across something explaining how to do this. My 86 year old mother still creams her sugar with a wooden tool my dad had made for her. It's like a big wooden ball on a stick that weighs about 1 kilo and works a charm. Who creams butter with a fork??? The whole principle is to have the sugar crystals cut into the fat to aerate it. How can you do that with a fork? You started on the right track - mix with a wooden spoon. You could have stopped there. Using a wooden spoon to mix in the butter and sugar is the perfect mechanism for combining the two smoothly. Bonus points goes to those who use the back of the spoon to "push" the butter and sugar together. This creates a light fluffy texture sans mixer. Your finished product in the picture looks greasy and not well incorporated. My hand mixer broke halfway through creaming butter and sugar the other day for blackberry jam shortbread, and I had to finish by hand just like this. I was contemplating replacing it, but now maybe I won't. You're right, my grandmother didn't have one. I remember my mother and grandmother using this technique, long before mixers were household appliances. They made angel food cakes by beating the egg whites by hand as well. I remember in home ec. class about 20 years ago that we would stand the bowl (with the butter and sugar in it) in a sink of hot water and would beat it. This would soften the butter, then (before it would melt) we would take the bowl out, wrap the base in a tea towel, hold it in one arm (cradled next to our bodies) and continue beating, with a wooden spoon, until it was creamed. Sometimes I still use this method if I can't be bothered getting the mixer out. Oh and also if I go somewhere that doesn't have a mixer available! What a nice home ec. class. Mine involved this French toast made with off-brand Wonder Brand that still makes me shudder. Oh come on. Just get out a mixer. My Kitchen Aid standing mixer was stollen during a move and I cannot afford another one. Also some people simply can't afford one at all. It's a good skill to have. O. em. gee. Thank you, thank you, THANK YOU for this tip!! !